Another wonderful Challenge over at i heart faces that I couldn't resist! This time it is a 'got to wear shades' photo. Love this challenge today as here in Melbourne, Australia it is pretty cold and this makes me think of Summer that is just around the corner! 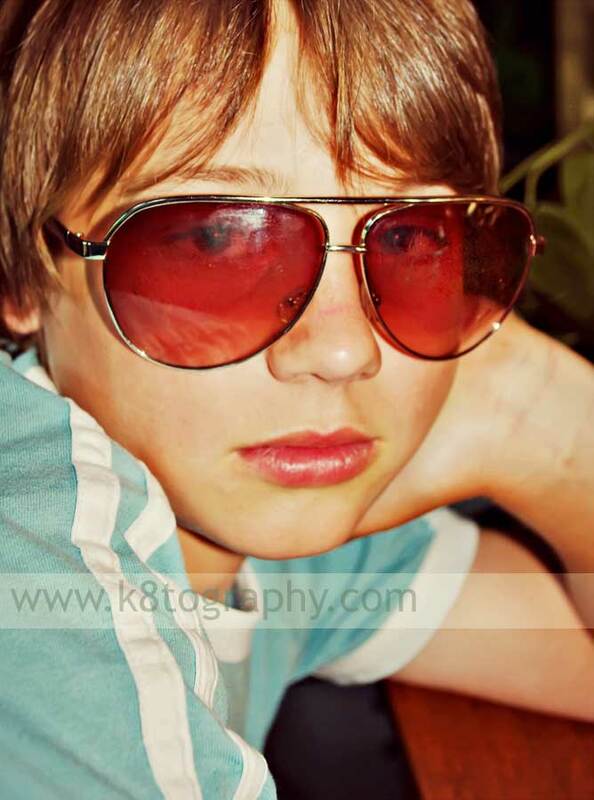 Here is Zed wearing a pair of his uncles old shades....Such a cool looking dude don't you think? Head on over to i heart faces to see some super shade shots! Love the seriousness of his look! The shades help him accomplish that!